Hatsune Miku is the name of synthetic voice DTM(Desktop Music) software created five years ago. With over 36,000 songs created, more than 10,000 videos uploaded, and views on her various media numbering well into the ten thousands, she has grown into a singer who can proudly call herself the most prolific musical artist in the world. Hatsune Miku's power flows from three sources: Technology, Pop, and Community. 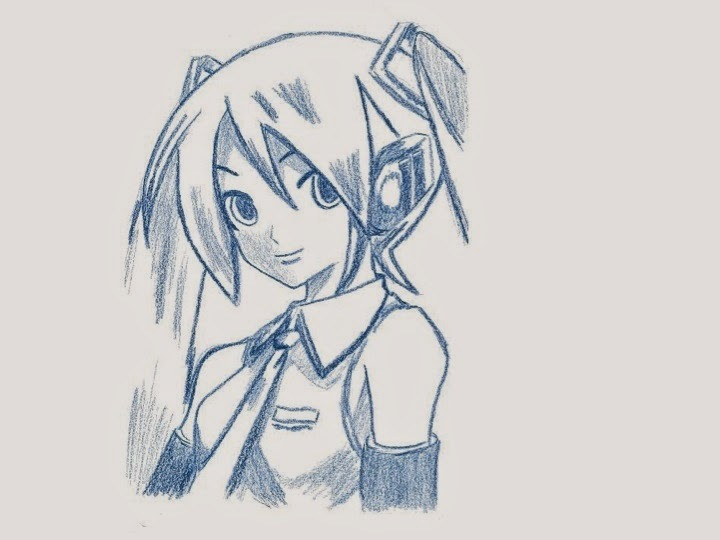 First, the technology of Vocaloid is one that allows anyone to possess their own dedicated singer. It has removed the barriers between songwriting and performance, making accessible the possibility of song quality even top-class pros will use. In addition, the visual presentation is imbued with all the flavor of her cute “pop” style character. 16 years old, 158cm tall, and weighing in at 42kg, the content comprises many elements of “moe.” She is the synthesis of two of Japan’s greatest strengths: creative production (technology) and expressive ability (content). Furthermore, there is the community generated culture of creative participation. Derivative works produced for NicoNico Douga and YouTube, and the connections between these works, songs, and videos have proliferated. As long as song writers and producers are on board with it any of the various forms of community participation are accepted and encouraged, be it video making, singing, performance, cosplay, or dance. It is a culture built on user-driven content creation, sharing, and distribution. Open source software has had a multiplicatory effect on technology. Hatsune Miku style content creation, which provides “Expression for Everyone,” is the source of Cool Japan. It was inevitable that a culture of creation such as that surrounding Hatsune Miku would originate from Japan. Now, Miku is an international star. This is the point in history from the serious use smart phones and social media services will begin. This is something being anticipated by both the global market of content providers and the “real” markets. Goods such as toys and snack foods are already being sold, and businesses are heading towards the route of hosting live shows and cosplay events in order to generate, and monetize, enthusiasm among their users. It is a new business in which the user creates the product. With so many people working together, using a single characters to create many different works and goods, we can likely predict more growth from this business model in the future. The task before us, then, becomes the creating a long term environment which will give rise to the second and third generations of Hatsune Miku. Hatsune Miku, a chance creation who was raised into what she is today by the community. She is a good daughter, brimming with creativity, and we hope to see the birth of many more like her in the future.